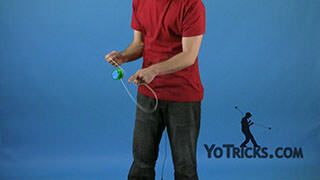 Learn the basics of how to do Stop N’ Go with an unresponsive yoyo and the four major variations. 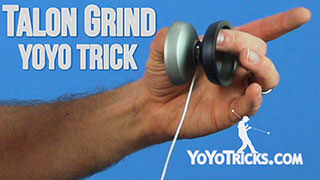 This trick is great for adding a variety of transitions into a yoyo routine. 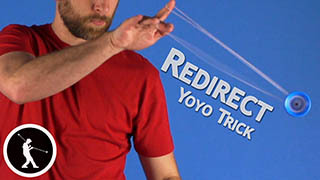 That is the basic sidestyle variation. Then there is also the basic frontstyle variation. 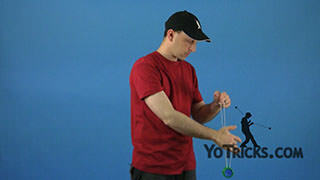 Then there is the sidestyle throw variation, and the frontstyle throw variation. 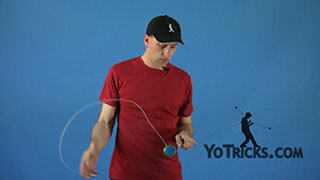 So, to do the most basic sidestyle variation of this trick, you just want to throw a Breakaway. 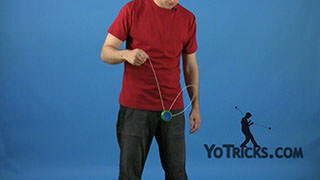 Then you want to go into an undermount, take your throwhand and bring it about halfway between the yoyo and your opposite hand. 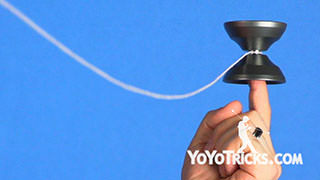 Then, wrap your throwhand around the yoyo one more time. 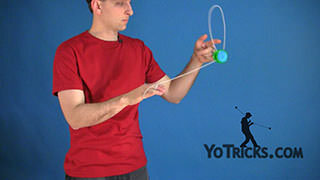 Then just like with a regular bind, you want to bring your throwhand straight up, and the yoyo is going to come right back into your throwhand. 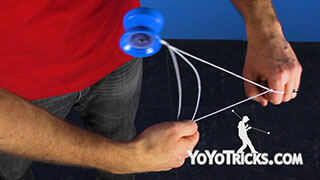 So you will see that this loop and the string attached to your throwhand are actually winding around the yoyo in opposite directions, so if I just pull my hands apart with my throwhand going down and my opposite hand going up, the spin of the yoyo starts again. 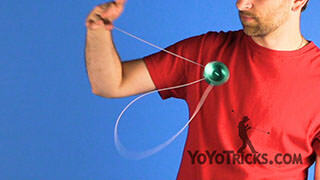 Now, there is going to be an extra wrap around the bearing, so all you have to do it just undo that. 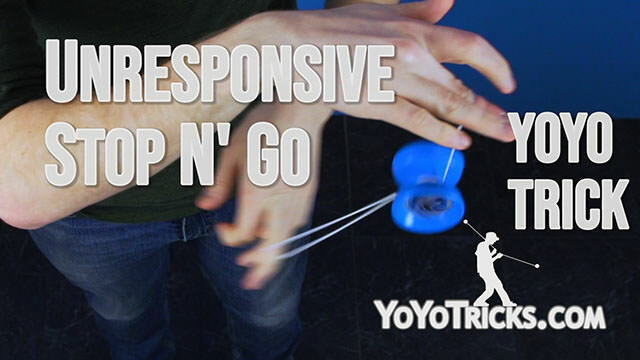 Now, because a Stop N’ Go is essentially just a regeneration, the yoyo is now spinning in the opposite direction, in a frontstyle throw. 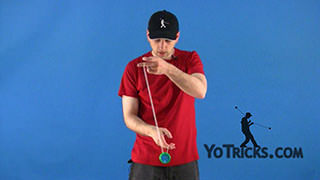 Now, for the frontstyle version, all you need to do is bring yourself into a front mount, bring your hand about halfway between your opposite hand and the yoyo, bring your hand around once more, pull your throwhand up. 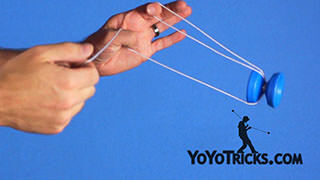 Then just pull apart once more, this time with your throwhand going up and your opposite hand going down. 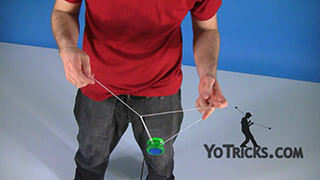 Undo the wrap, and now you are back in a sidestyle throw. 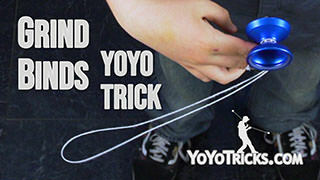 Now, if you are having any difficulty getting the yoyo to shoot back up to your hands, you are going to want to make sure you are using a new string, otherwise a really worn out string might have a hard time binding and activating the response pads. 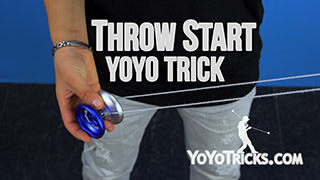 Also, if the yoyo is not quite grabbing when you pull your throwhand up, make sure to keep your opposite hand right about where it is, and to hop the yoyo up just a little bit. That might help the response pads catch. 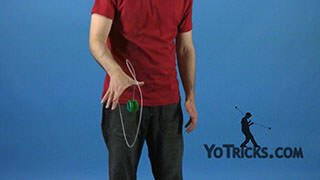 Now, for the more advanced throw variations, what you want to do is go into the Stop N’ Go, just like normal, but this time, take your opposite hand and bring this loop all the way around so that your finger is touching your wrist, just like this. 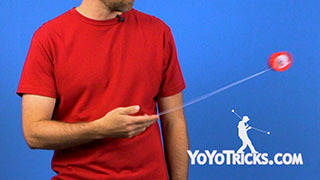 So if you did the sidestyle catch, and you want to just do a regular frontstyle throw, then the yoyo comes out and you can let the yoyo swing back. 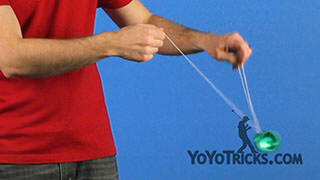 Then you can undo that wrap just like this. 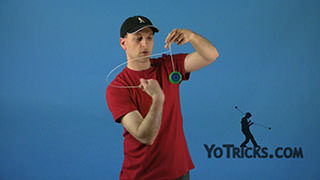 Now, for the frontstyle throw version, just throw a frontstyle throw, get the yoyo back to your hand, take that loop, bring it under your wrist, just like this. 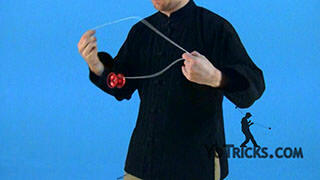 Then you can do a forward pass and do an extra roll to the inside of your arms, and you are right here in trapeze. So, those were four unresponsive Stop N’ Go variations. 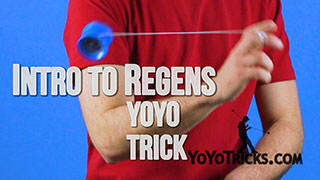 They are a lot of fun to do, especially in between your tricks, rather than a conventional regeneration or just a regular throw and catch. And that is Stop N’ Go.